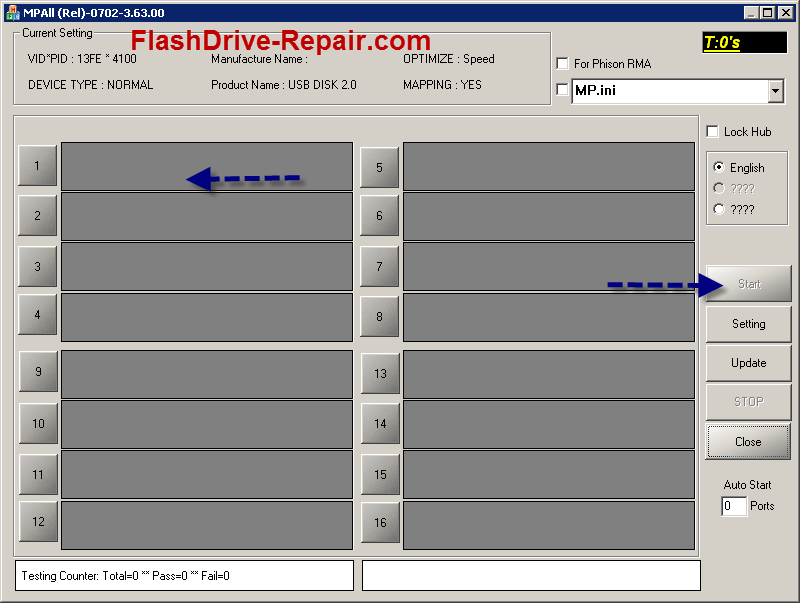 Repair phison flash drive with the new Phison MPALL utility .Phison MPALL PS2251 firmware update can fix any corrupted usb flash drive that have PS2251 phison controller .Download Phison utility now . Phison MPALL format utility is a good repairing tool for phison controller PS2251 .Phison mpall utility can fix the following chip controller PS2251 (03, 67, 62, 02, 85, 75, 83, 61/91, 73, 01, 80, 60/90, 38, 50/30, 65, 63, 39, 37, 33, 32) .Download Phison MPALL software to your computer from the link in the end of article .Insert your corrupted flash drive.If this software is the right software for your flash,you will see your flash in the program .If not ,please write your chip genius report for your flash in a comment .Now click start to begin fixing your flash drive . Still no firmware for ps2267? Hi i have problem with my pendrive now, can u help me to solve problem with this bricked pen ? I have a Kingston USB Flash Phison PS2251-67(PS2267) I'm trying to make it 2 partitions, CD-ROM and removable......... I make that before for many USB flash with other controllers But I can't make it with this controller!!!!!!!! So what's wrong? I read that Kingston make a protection for all her products since july 2013 ..... Is that correct ? I'm trying many MPALL tools with this controller but it didn't work!!!!! So what's up?????? Can you help me plz???? Thank you! The http://adf.ly/adVc5 (Restore-v3.13.0.0.exe) WORKED! Any idea how repair this device? I use the MPALL v 3.60.0D and the all repair ending with error :RMA Settings Error,0x4B08. What does any necessary changes in the settings? Thanks. I have a 16gb flash stick that was broken. After I fixed it with MPALL it only recognizes one Flash chip (8gb) instead of both. VID 0x13FE, PID 0x3800, IC Version is 2251-38 (googling it shows that it's a rare 2-channel variant or something?). The Flash chips are two Intel 29f64g08 (64GBit). But the MPALL tool only recognizes 8gb. Any idea what's going on? I have a Kingstone DataTraveler 3.0 G3 64gb that is not readable anymore. I've tried Phison_PS2251_MPALL_v3.33.0C.7z but there isnt PS2251-03 in the conf. Should I dismount it and make some reset function on chipset? Device (or usb) not found. How to deal with the error CT-0x1042? I download the software as per your website mentioned me but it didn't help or maybe i don't know properly. Help me please. 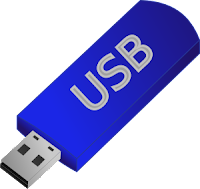 I want to make the pendrive a "fixed disk". I am dying here i have been trying for 6 months now you wouldnt believe what i have tried UGH any help at all will be useful but if you know that it will work definitively that would be great!!! after "update" and "start" the program says me : "load PVC0 File Fail !! Please check it"
I want to erase the first partition CDFS (boot and password for encryption) and reformat the key to have only one non-crypted partition. Tried this tool and it didn't work for me. Any reccomendations? Thanks. Please send me the tools. Need Firmware of this Please Help.